I'd like to have the possibility to have a momentary pusch that can shutdown all the program and the raspberry. In this way before turn off the power, i can shutdown the raspy in a very simple way. I have set the moitessier hat and i don't know if there is some free GPIO that i can use for this purpose. what I understand, from the users guide of the moitessier hat, is that the gpio 5 and 6 of the rspi is not used by moitessier hat, so I can use one. So I have to connect (soldering?) the temporary switch to gpio 5 and ground, modifing the config.txt file, and everything should work correcly. Anyone can tell me if this is going to work or not? 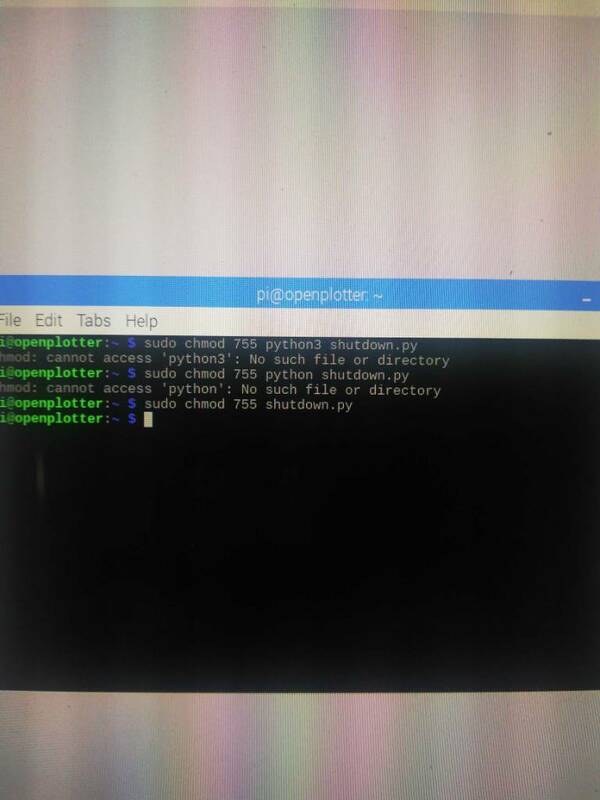 How can i make the script loading directly during the startup, without have to lunch the program from the shell everytime? on your link Step 5: Activate On Startup ? Thankyou for the reply. It's what i made but didn't work. 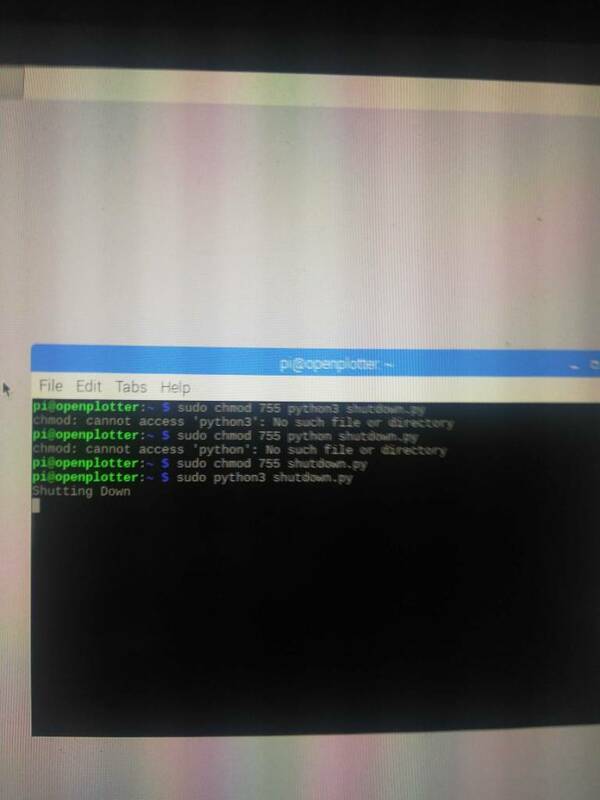 I try what you suggest, but, as you see in the photo below, the correct sintax is without python3 or python, but nothing happen. In the second photo you see it in function, after pressing the button.